Hey guys how you doing all? I have been playing Fallout 4 a lot lately and am fully into settlement building mode. I found a great awesome mod for it. It is pretty big and they did a marvelous job. And they keep on bringing expansions for it as well. Yes, expansions for mods! Anyway thought I would share it if you are into Fallout 4 and mods go check it out. What I also love is that you don't need Nexus to be able to use this mod, you can simply download and istall it through the main mod menu of Fallout 4 itself. There are some very talented game modders out there, that's for sure! Does settlement mode require playing the rest of the game for anything? Not if you use the cheatmod. I mean you have to do the intro obviously and get started. Also to get access to more settlements you need to clear them or help them first. But after that you can ignore pretty much everything else if you load up with crafting mats with the cheatmod. If you want to let the mod do the work for you from scratch you need a leader. To get those you need to open them up as well. I have 3 settlements running with each a leader so the only thing you need to provide are the building mats and the caps that you can get from the cheatmod. Fallout 4 has a very good building mode, had a lot of fun with it, and yes the modding community at Nexus is the most creative I have seen till date. I was always happy to drop donations for their hard work. A shame that this art form has been monetized by corporations (Creation Club I am looking at you) that are taking over the world bit by bit. @Rootimus you know the ~ tgm option, build to your heart's content. Its been a while since I played it, but I remember tinkering with basic programming using a terminal or items, don't really remember what it was, but I was able to have the out of one machine acting as an input to the other and other crazy stuff. So... we're all getting together to nuke Xrixi's settlement when FO76 is released right? Yeah I know. What is that about anyway. I mean they are mods made by fans but you have to pay for them? Do the creatures make a bit of money this way and get a 5% cut of all their hard work? Normal split is 80/20, 20 going to the creator. No idea what Zenimax's policy is, but probably worst. Is that the only place to get mods for the game, or can you host them anywhere? Mods are still available on Nexus and as long as the creation kit is open the modders will continue to create art. Can't say how lang before they roll out an update that closes those modders out. TES and FO would both be dead series on PC w/o mods. FO76 won't have mods because it is Always-Online, it could conceivably have Creation Club cosmetics(Premium) and MMO style addons. You don't need creatin kit to run mods nor do you need Nexus. In the main menu of the game itself there is a mod option. People can upload their mods and players like me can grab it from that menu. Nice, easy simple and no extra third party software needed to run it. Only downside is not all mods are there since lots of people stick to Nexus only. But the mod I posted at start is included in the way I play it. It still has a good bunch of mods however. Creation kit gives away free stuff as well. Every week there is something for free that I grab. 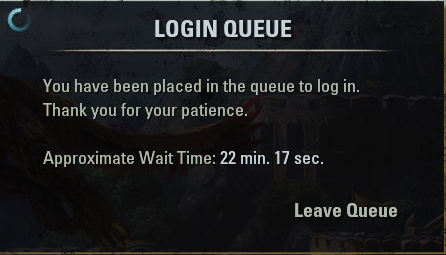 I never use BethesdaNet or the Creation Club for mods, Bethesda have proven beyond any doubt that they have zero idea how to do load ordering properly. Official content and BethNet downloads are just as likely to cause crashes as mods from any other source.